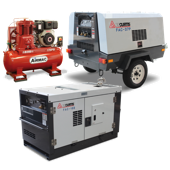 The space saving CL direct drive screw compressors are designed for long-term performance. A refrigerant dryer mounted on a horizontal receiver is available as an option. Even at full load operation the compressor operates reliably and safely at optimum efficiency providing a long service life. 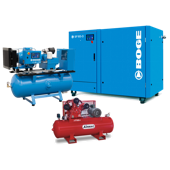 The specially designed BOGE airend provides high output volumes at low energy consumption - for reliable and efficient compressed air supply. 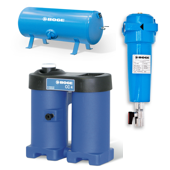 All C-series compressors are characterised by very low sound pressure levels due to their super-silenced cabinets. BASIC control is the standard compressor controller with LC display and pressure sensor technology. The FOCUS control, offering additional monitoring and control options, is available as an optional extra. As an option the compressor can be supplied with a horizontal refrigerant dryer. No additional footprint is required.